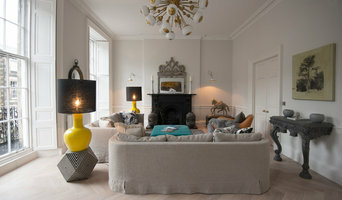 We are a luxury residential interior designer based in Edinburgh and working across the UK. Our work has been featured in many magazines including 25 Beautiful Homes, Ideal Home magazine and Homes & Interiors Scotland. We have worked across a range of projects – from clever design of smaller, more intimate spaces to contemporary city apartments and large scale budgets for whole houses. We offer a project co-ordination service for the whole process as well as developing beautiful creative schemes. Led by Kelly Park (BA, Interior Design) evolve-INTERIORS is a freelance interior design service based in Blackhall, Edinburgh and specialise in providing a complete professional and affordable interior design service, from creative storage solutions and supply of fabrics and wallpapers, to complete home refurbishment. We also co-ordinate business design projects, tailored to your every need. Each service option offered is dependent on scale, volume of work and the amount of specialist design & installation input you require evolve-INTERIORS to provide. Interiors and design have been a lifelong passion of mine and love anything bright and colourful. I established Victoria Hopkins Interiors with the aim of helping others express themselves via their interiors! I offer a range of residential interior design services as well as custom designed soft furnishings and upcycled furniture. The designs and products I create are bold and vibrant and always mix colours and patterns. I help people channel their personality through their home, by creating interiors that are a true reflection of the owner and work perfectly for them - interior design is not just about making things pretty, but also about making the space work for each individual. Having a home that you love and can’t wait to get home and spend time in can enhance your life. I believe that good design should be accessible for all, and alongside our full interior design services we also offer set room packages from as little as £300. Providing moodboards, room layouts, shopping lists, fabric and paint samples and colour schemes for you to implement at home in your own time. Please get in touch to find out more about our services or to discuss your design project, your initial consultation is free and I am always happy to answer any questions! With years of experience, Elina is passionate about unique and elegant designs and delivering beautiful interiors. With her innovative and cost affective approaches, she can make your dream interior a reality! Principal Elina Helenius has a background in international project management and interior design qualifications from prestigious Sydney institutions ISCD (International School of Colour and Design) and Sydney Design School. Elina is also trained in spatial planning, construction for interiors, 2D and 3D drafting as well as interior decorating and finishes, she is well equipped to tackle the trickiest of projects from extensions and renovations to non structural makeovers! Born in Finland, schooled in South East Asia, and trained in Australia, Elina brings an international flare to her residential and commercial work alike. Although based in Northumberland, we do frequently work in London and would be happy to travel to manage your next project. Give us a call today, to discuss your ideas! 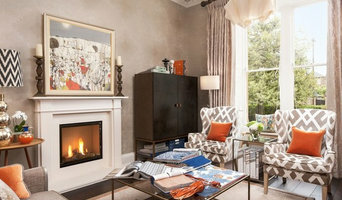 Salsabil El-Awaisi Interiors is an independent, Interior Design Studio in Edinburgh. Launching her own Interior Design business has opened the door for Salsabil to be able to create spaces with personal meaning and unique style. Family is very much at the heart of the business. Her focus is always on creating a home around you & your family. A home that you are truly comfortable with enables you become more productive in both your professional and personal life. Salsabil’s flair for creating spaces with personal meaning is partly thanks to her approach to style and culture. Born in Hebron and raised in Scotland, Salsabil grew up balancing a feeling of having two identities. As a result, Salsabil is passionate about innovative design & creating spaces which represent you and tell your story. This approach really sets her apart today - Scotland has a very distinct interior design style and she’s here to bring something new to the table. This is best showcased in her work with period properties, where Salsabil brings a new and fresh touch, whilst never compromising on its own existing, quirky character. Contact Salsabil today to discuss how to make the most of your home. Karen Rhodes Design specialise in Silent Gliss window systems including manual and electric. 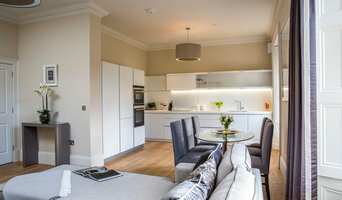 On occasion, interior designers in Heriot, Scottish Borders, UK will need to subcontract help from other Heriot, Scottish Borders, UK professionals to help create the perfect look for your home renovation. These may be specialist installers or interior decorators like kitchen designers, architects or landscape contractors. Start by asking yourself what you want your space to become and how it will be used. List your must-haves and decide on your budget. Interior design services can add up fast, so be upfront with potential interior designers from the beginning. Also, pick a designer in Heriot, Scottish Borders, UK that fits your style. Browse through their interior design portfolio on Houzz and ask yourself if you’d live in any of those houses. If the rooms inspire you, take note of what elements you appreciate. 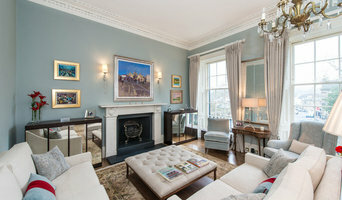 Find residential Heriot, Scottish Borders, UK interior designers on Houzz. Scroll through this page to find interior designers in your area. Then, browse their design portfolios to see how their work compares to the scope of your project. You can read reviews to see how other homeowners rate their work, and message them directly to to ask any specific questions.